Sasha: Naijas female MVP… Better Recognize! I settled into work this morning and put on my headphones trying to catch up on the latest Naija jams. Who is this Sasha self? I remember her name from some collabos with trybesmen a few years ago and one other song. From the moment I hit play I knew I was in for something. The intro had me sit up straight in my chair! This madam isn’t playing o! Every now and then, I would forget myself and start bouncing around in my chair. (I can’t afford to be jammin’ like this at work with all this subprime mess going on!). Ti Da Mo (recognize) jumps at you with that “if you don’t know, better ask somebody” confidence. Guaranteed to keep you popping. A must have for my Naija party compilation CD; it has the makings of the classic party jam and I’m calling it! De Roof… De Roof! Ahaa Ahaaa… Ohoo Ohooo! Where are my boys? Where’s my whistle?? (Damn, I miss Ibadan!). A tear rolled down my eye as I listened to Baba mi (My Father) , a Yoruba acoustic rap rendition. One listen and I quickly realized this wasn’t just a song. I immediately called my dad in Naija. “I just wanted to hear your voice, dad”. Asa, the new Naija musical sensation introduces yet another flavor as she reinforces Sasha’s flow on Let Me Go. Only One? It’s T-pain, it’s Eve… no it’s Sasha. E wa ba mi jo (Come dance with me) brings some well appreciated Jaara to round up the musical journey. This CD has something for everybody. I’m not quite the rap connoisseur but I know a good album when I hear one. 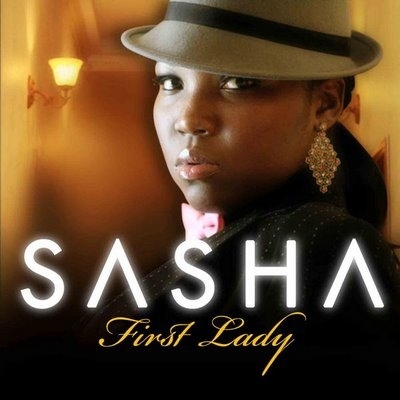 Sasha is a true story teller, poet and lyricist. Her message is sincere, positive, thought provoking and memorable. To echo her words, this is feel good music with a lesson. She seduces you with her wordplay and locks you in with her message… She made me laugh, smile, think and even cry. Sasha, thanks for that complete musical experience, It was certainly worth the wait. 5 Akaras for this one o!